After the bans of Vioxx and Bextra in 2004 and 2005 respectively, Celebrex came under scrutiny by the public. The FDA explained that although the class of drugs known as NSAIDs (Non-Steroidal Anti-Inflammatory Drugs) has been linked to an increased risk of major cardiovascular events, Celebrex had not specifically demonstrated a higher level of risk than other NSAIDs (excluding aspirin). In response to the discontinuation of Vioxx and Bextra, the FDA placed a “black box warning” on Celebrex warning of the risks of serious cardiovascular complications. It was also recommended that Celebrex be prescribed in the lowest possible dosages, and that alternative treatments be explored. Additionally, a temporary stay on direct-to-consumer advertising for the drug was established to allow for more research on its long-term safety. Many consumers felt that these warnings were an indirect statement by the FDA that Celebrex is not a safe drug. After a record campaign of direct-to-consumer advertising touting the safety of Celebrex, many consumers who have experienced complications from the drug have chosen to file lawsuits against Pfizer. 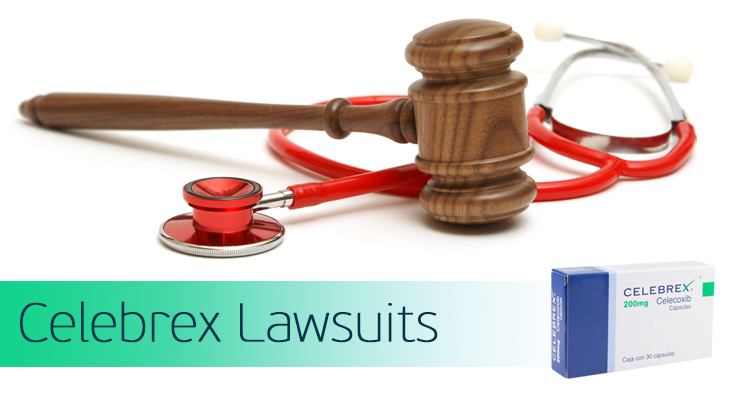 As of the end of 2007, there were over 3,000 Celebrex-related lawsuits pending. Throughout the controversy over Celebrex and COX-2 Inhibitors in general, Pfizer has attempted to preserve its image with the public. In November of 2004, concurrent with the ban of Merck’s “super-aspirin” Vioxx, the San Diego Union Tribune reported that Pfizer halted sales of Celebrex to Turkey after the country argued for stricter label warnings that Pfizer felt would damage the drug’s image of safety. In contrast to Merck’s mass settlement concerning Vioxx, which ended most of the lawsuits in one fell swoop, Pfizer has elected to respond to each Celebrex- and Bextra-related lawsuit individually. In May of 2008 Pfizer offered a settlement to three firms representing over 200 litigants, with an average offer of about $200,000 per Bextra suit and $40,000-$50,000 per Celebrex suit. Lawyers for Pfizer say the company is willing to spend $500 million overall to settle the lawsuits. If you are considering filing a Celebrex lawsuit, it is important that you find an attorney with personal injury experience, or better yet, experience in dealing with drug companies. Most states have strict statutes of limitations on filing drug-related lawsuits. The time limits vary by state, so it is important that you consult a lawyer as soon as possible if you want to file a case. Many law offices offer free consultations to determine if you have a viable case. The lawyer will need to know the exact dates that you (or your family member or friend) took Celebrex, in what dosages, and for what condition it was originally prescribed. It would be helpful to have documentation of the specific medical complication involved in the claim. An important decision by San Francisco Judge Charles Breyer in 2007 ruled in favor of Pfizer, finding that plaintiffs had not provided sufficient scientific support for their claim that Celebrex had caused serious cardiovascular complications at a dose of 200mg per day. This decision had the potential to affect an estimated 900 pending lawsuits against Pfizer, all concerning patients who were taking 200mg of Celebrex per day. It was unknown whether this would affect the claims of patients who took 200mg of Celebrex twice a day, or whether another litigant may be able to make a different case for the risk of the drug even at lower doses. Celecoxib is the generic form (and the active ingredient) of the drug Celebrex. Celecoxib is identical to Celebrex in its dosages, routes of administration, strength, safety, quality, purity, and intended uses. The original manufacturer of a drug, in this case Pfizer, is considered responsible for the safety of Celecoxib in all its forms, generic or otherwise. Your rights are the same, regardless of whether you took generic or brand-name Celebrex. If you or a loved one experienced a severe complication while using generic Celebrex, you are encouraged to consult a personal injury lawyer and to make a report to the FDA.